In recent years, an increasing number of defucosylated therapeutic antibodies have been applied in clinical practices due to their better efficacy compared to fucosylated counterparts. The establishment of stable and clonal manufacturing cell lines is the basis of therapeutic antibodies production. 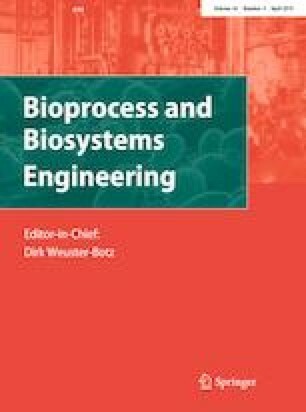 Bioprocess development of a new cell line is necessary for its future applications in the biopharmaceutical industry. We engineered a stable cell line expressing defucosylated anti-HER2 antibody based on an established α-1,6-fucosyltransferase (FUT8) gene knockout CHO-S cell line. The optimization of medium and feed was evaluated in a small-scale culture system. Then the optimal medium and feed were scaled up in a bioreactor system. After fed-batch culture over 13 days, we evaluated the cell growth, antibody yield, glycan compositions and bioactivities. The production of anti-HER2 antibody from the FUT8 gene knockout CHO-S cells in the bioreactor increased by 37% compared to the shake flask system. The N-glycan profile of the produced antibody was consistent between the bioreactor and shake flask system. The antibody-dependent cellular cytotoxicity activity of the defucosylated antibody increased 14-fold compared to the wild-type antibody, which was the same as our previous results. The results of our bioprocess development demonstrated that the engineered cell line could be developed to a biopharmaceutical industrial cell line. This project was supported by National Science Foundation of China [Grant number: 81502969]. All the authors reviewed and agreed to submit this manuscript. The authors declare that they have no conflict of interest. The study does not contain experiments using animals and human studies.